ONTARIO — The Ohio District5 Area Agency on Aging will host its Positive Aging Expo on Thursday, Sept. 28 at the Richland County Fairgrounds in Mansfield. The expo is from 9 a.m. to 2 p.m., it is free and it is open to the public. 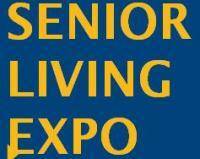 Each year, the expo showcases businesses and organizations available to seniors and caregivers. These vendors bring booths, food, games, giveaways — and most importantly — information about their unique services. The displays give guests the opportunity to learn about the countless resources available to them in Ohio’s aging network. This year’s featured entertainment is Condrea Webber, Deon Taylor and their dance group, who will perform music from Motown. Additionally, the Area Agency will be collecting non-perishable food items for the local food shelter. Visitors who bring a donation to the expo will have the chance to win a special door prize. The Area Agency on Aging is also still looking for vendors. For registration, contact Martha Ball at mball@aaa5ohio.org or visit www. aaa5ohio.org. The Ohio District 5 Area Agency on Aging, Inc., 2131 Park Avenue West, provides leadership, collaboration, coordination and services to older adults, people with disabilities, their caregivers and resource networks that support individual choice, independence and dignity.